When the blood of Christ flowed at His crucifixion, the veil in the temple was torn in half from top to bottom (Matthew 27:51). The veil that had symbolically separated the people from personal contact with God was removed by God Himself (Hebrews 10:20). The human mediation required under the terms of the Old Covenant would no longer be needed. Everyone would have access to God through Jesus, the High Priest. The sole function of a high priest was to offer sacrifices. In so doing, the priest acted as a neutral party between God and man to bring about an agreement or reconciliation of the divided parties. Under the Old Covenant, a high priest was selected from among men and was “appointed to represent them in matters related to God, to offer gifts and sacrifices for sins” (Hebrews 5:1). No high priest took the honor upon himself. Rather he had to be called by God (Hebrews 5:4). A perfect mediator between God and man had to share both natures. Thus for Jesus to be the mediator of the New Covenant, He had to be both divine and human which He was. Christ is the mediator for all believers (Hebrews 9:15, 12:24). If Christ had not been an actual man, He could not have sincerely represented mankind. The author of Hebrews describes Christ from both a divine (Hebrews 7:26, 7:28. 9:14) and human perspective (Hebrews 2:9, 2:14). The relationship between God and man is at the heart of the New Covenant. God desires to have fellowship with men. The author of Hebrews writes, “let us draw near to God with a sincere heart in full assurance of faith” (Hebrews 10:22) and that we “come to God through him (Christ)” (Hebrews 7:25). God desires to have a growing relationship with Christians. Take time to today to show your gratitude to the Son, our perfect mediator. Paul uses the term, redemption, as one of the processes by which Christ secured salvation for believers. He states that redemption comes from Christ (Romans 3:24). Paul writes in Titus 2:14 that Jesus “gave himself for us to redeem us from all wickedness” (NIV), or “from all iniquity” (RSV). Jesus “rescued us from the dominion of darkness ” and it is in Jesus that we have redemption and the forgiveness for our sins (Colossians 1:13-14). As Paul explains, Jesus willingly offered Himself as the payment for our ransom. Christians “were bought at a price” (1 Corinthians 6:20, 7:23). 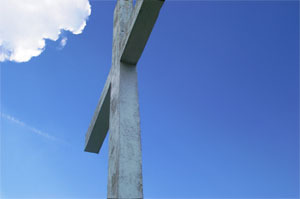 The price paid for our redemption was Christ’s shed blood on the cross (Ephesians 1:7). Jesus said there was no greater love expressed than to lay down your life for a friend (John 15:13). 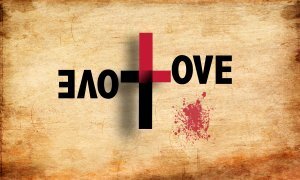 But, Jesus demonstrated even greater love when he laid His life down for those who were His enemies. Is there anything that God is asking you to do, that you look at it as too big a “price to pay” to be obedient? God did not consider it too great a cost (His Son) to pay to secure your future in Heaven! In the Old Testament, God graciously offered reconciliation between the Jews and Himself through the covenant Law. The levitical system of sacrifice was the provision God made to maintain fellowship with His people. The primary obligations for Israel under the old covenant, were to be loyal and obedient to God. These two responsibilities were to be expressed by exclusively worshiping God and Him alone. The old covenant was broken almost as soon as it was established (Exodus 32) and continued to be broken throughout the history of the people of Israel. God honored His obligations to the people despite the fact that Israel persisted in rebelling against Him (Isaiah 1:5). Ignoring the prophets’ pleas and threats of judgment, the people persisted in their disobedience. The old covenant needed to be replaced with a new covenant, one that man could not ruin. God’s new covenant was unveiled. It was not an agreement based upon merit or works, like the old plan, but one that was independent of external laws and human interpretations. Obedience no longer resulted from fear of God’s wrath. Instead, obedience was a natural response to the incomprehensible love shown by God. God sent Christ to earth to become the perfect sacrifice (Hebrews 2:9, 9:14). It was God’s will that Jesus suffered and died on the cross. In Christ’s death, He made the atonement for sin. The author of Hebrews quotes Jeremiah 31:31-34 in writing that God said, “For I will forgive their wickedness and will remember their sins no more” (Hebrews 8:12). 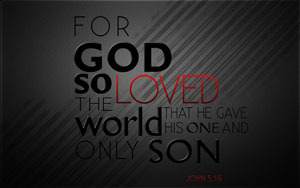 Christ specifically came to earth so that He could die for mankind and thus provide a means of offering salvation. How has the New Covenant impacted your life and faith? What are you doing to promote Christian unity? 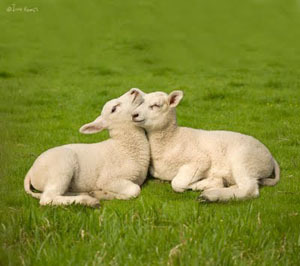 Many times the display of our love is seen in our sacrificial actions and attitudes towards others. A sacrificial act is one which a loss is incurred or suffered without a return. 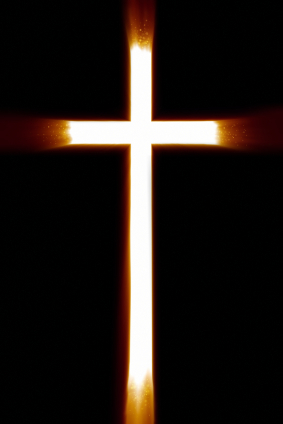 The greatest demonstration of love is seen in the sacrifice of Christ on the cross. How is your love for others sacrificial? When was the last time you sacrificed for someone else with no expectation of a return? 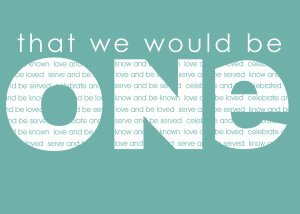 How might you demonstrate sacrificial love for someone today? The Day of Atonement, was the tenth day of the seventh month on Israel’s calendar. It was set aside as a day of public fasting and humiliation, a day when the nation of Israel sought atonement for its sins. On the Day of Atonement, the whole community gathered at the tabernacle to fast. The high priest, very carefully followed God’s prescribed steps, bringing the blood of the sacrifice into the Holy of Holies in the Tabernacle and sprinkled the blood on the cover (the mercy seat) of the ark of the covenant. This annual sacrifice, made before the Lord, was an “atonement . . . to be made once a year for all the sins of the Israelites” (16:34). Following it, Israel was told, “You will be clean from all your sins” (16:30). Each year the same ritual had to be repeated. Just before Jesus died on the cross, He said: “It is finished.” With that, he bowed his head and gave up his spirit (John 19:30). . . At that moment the curtain of the temple was torn in two from top to bottom. The earth shook and the rocks split (Matthew 27:50). Israel’s high priest could never make such a statement as “it is finished,” his work was never finished. But, when Jesus offered His life for all time as a sacrifice for all sins, “he sat down at the right hand of God” (Hebrews 10:12). His work was finished! The tearing of the temple veil indicated that God’s demand for justice was finally satisfied. God’s Gift to the Israelites, the Day of Atonement, demonstrated God’s graciousness in response to the helplessness of His chosen people. It was given to them as a means of providing reconciliation with God. But, the Day of Atonement was only a shadow of what was to come. . . it was Jesus life, shed on the cross that provided a new and living way for us to God. Have you accepted God’s offer of reconciliation through faith in Christ? If not, why not investigate the work that was done on the cross? This Passover is a foreshadowing of the hope of God’s true redemption. There had to be death, blood had to be shed (Hebrews 9:22) . . . if the lamb had not died, the oldest son would have. By the sacrifice, God taught that there must be death to atone for sin. . . the wages of sin is death. . . either the death of the offender or the death of the innocent substitute.